Leviton Combination Wallplates come in a variety of configurations and gangs, and are available in a broad selection of materials including, aluminum, brass, stainless steel and plastic, and in an assortment of colors. 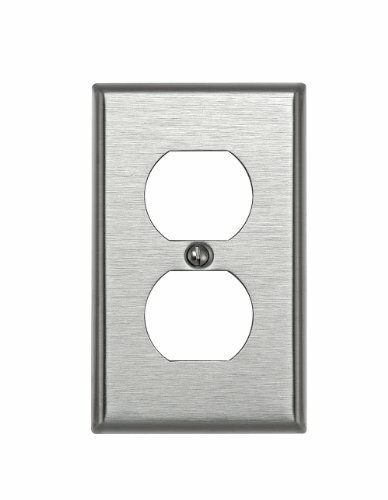 If you have a unique application, Leviton can also customize a wallplate for a specific job.1-Gang DECORA (R) brand/GFCI Device DECORA (R) brand Wallplate, Device Mount, Stainless Steel. Specifications: Universal design allows easy retrofitting to any decorator/ rocker light switch or power outlet. 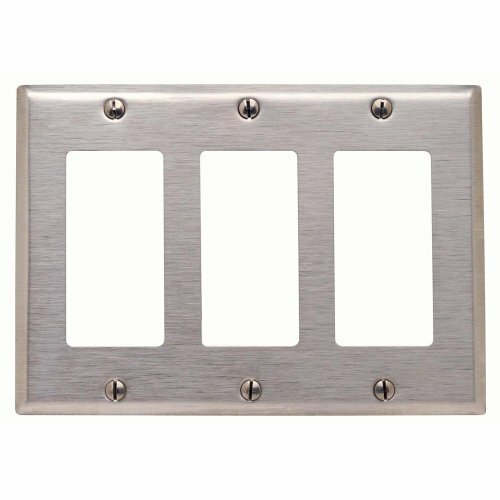 Decorator stainless steel wall plate measures 2.76” Length x 4.50” Height x.25” Thick. Quality: Made of 430 stainless steel for any residential, commercial or industrial applications. Provides optimum durability, and resilience in abusive and corrosive environments. Features: Elegant smooth brushed finish and contoured edges enhance appearance while maintaining functionality. Curved and smooth edges protect from foreign objects while providing a safe cover. Applications: Perfect wall plate covering for residential home settings such as kitchens, and garages, or business environments such as restaurants, warehouses, hospitals, automotive repair shops. Installation: Easy DIY (Do-It-Yourself) with minimal tools required. Screw(s) included to match wall plate. Various size and styles available. 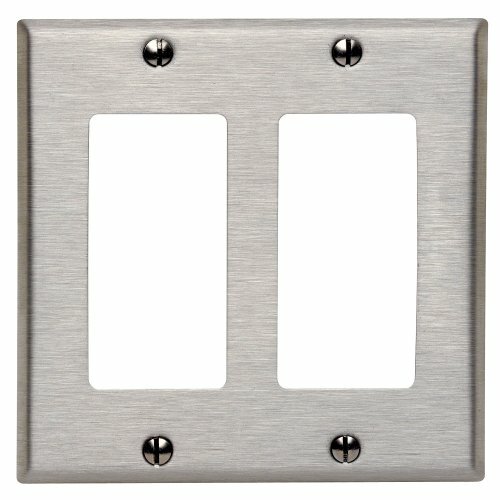 The Leviton 8400140 is a 1gang, toggle device switch wall plate in stainless steel. Leviton is a smart choice for today's commercial, residential and industrial buildings. It offers a wide range of devices for different applications. Leviton's Traditional wall plates perfectly combine form and functionality.The Leviton 8400140 switch wall plate is specially made for use with Traditional Leviton devices. It's constructed of stainless steel. This ensures a lengthier lifespan for the product because the material helps the wallplate resist corrosion. This wall plate offers you easy installation. Choose the Leviton Traditional wall plate and enjoy years of reliable, scratchfree use. 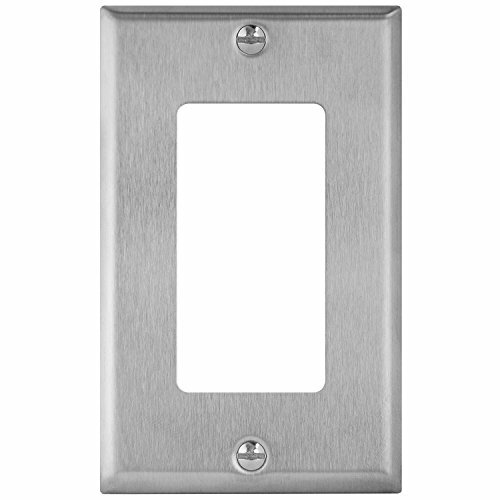 Screwless Single-Gang Wallplate This single-gang wallplate is the ideal accessory for your dimmer switch or outlet. Even when used with rework boxes, this wallplate mounts flush to the wall. The superior design attaches snugly in place, regardless of wall condition. Oversized to hide gaps around wallboxes, with no unsightly screws visible. Measures 3 inches in width and comes in a stainless steel finish. 4.7 in x 3 in x 0.3 in . 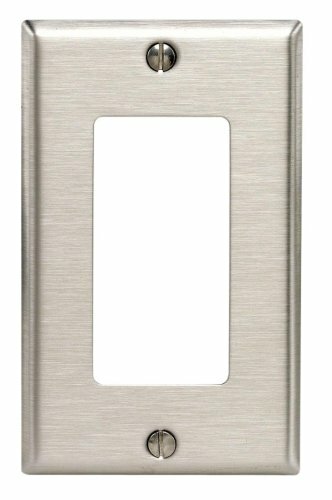 The Leviton 8441140 is a 3gang, Decora/GFCI wall plate in brushed stainless steel color. 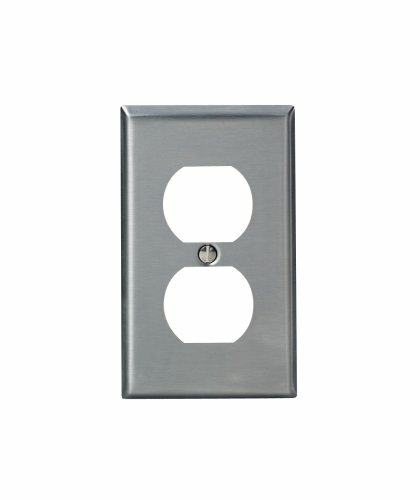 This wall plate features a midway size that not only provides greater coverage, but also hide wall surface irregularities. The installation process is fast and flawless. Add an elegant touch to your home with Decora wall plates. 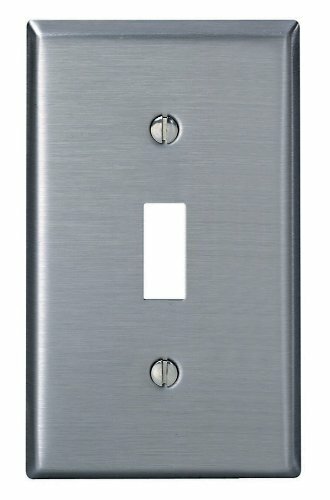 Or, you can go modern using Decora plus screwless wall plates. Leviton Decora designer and Decora Plus wall plates are available in a large variety of colors and styles. All Leviton wall plates are constructed to stand up to heavy use. We have wall plates in many colors to help you coordinate with your wall color or wall coverings. 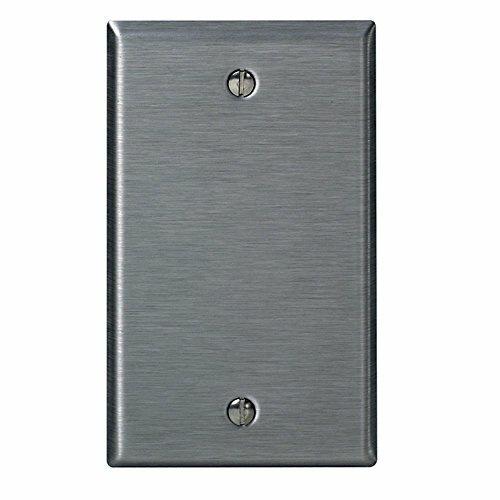 Looking for more Stainless Steel Wall Plate similar ideas? Try to explore these searches: Ugg Sheepskin Insoles, Black Electric Pickup, and 7261 Clone Turbo Tank. Look at latest related video about Stainless Steel Wall Plate. Shopwizion.com is the smartest way for online shopping: compare prices of leading online shops for best deals around the web. 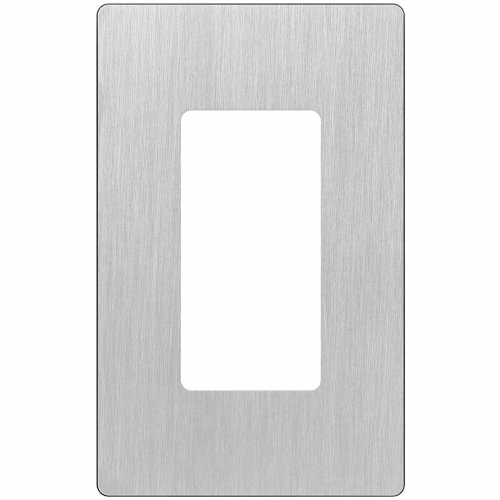 Don't miss TOP Stainless Steel Wall Plate deals, updated daily.